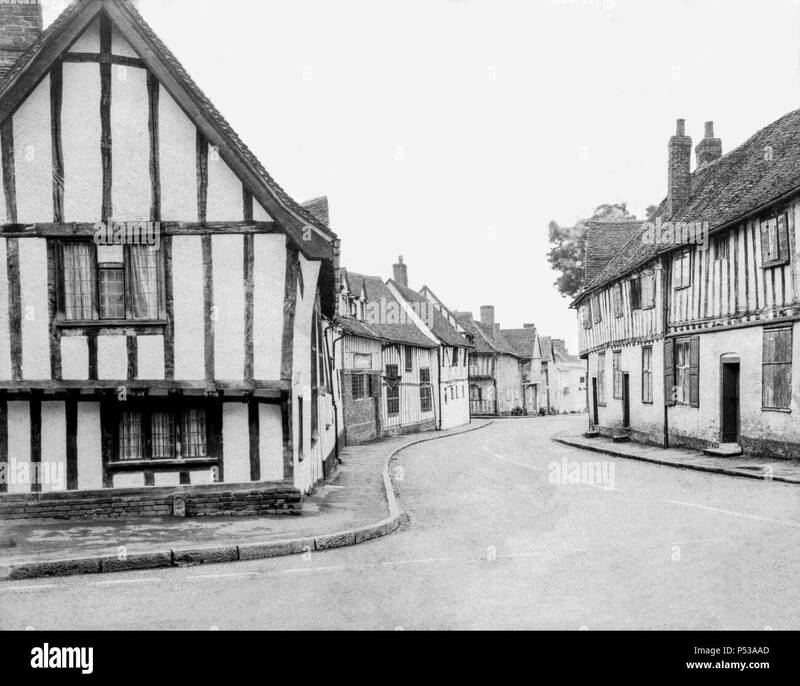 Half-timbered medieval buildings (The Swan Hotel & Water Street) in Lavenham, Suffolk UK taken on a paper negative on a 5x4 camera around 1972. 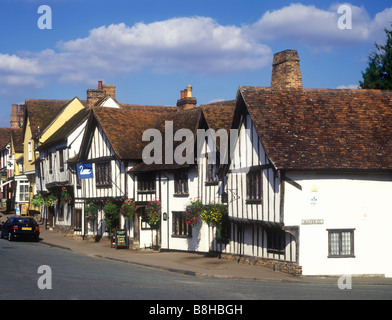 A sepia toned version is available at P53A8R. 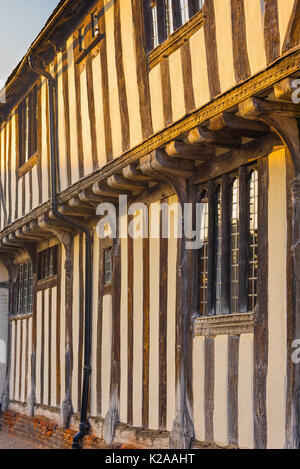 Lavenham Suffolk colour, detail of the exterior of a medieval half timbered Swan Hotel in the Suffolk village of Lavenham, England. 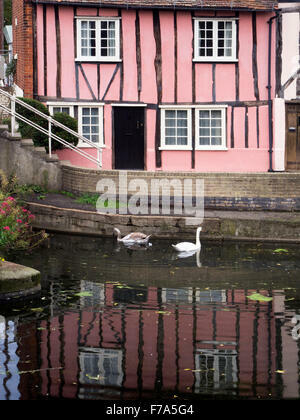 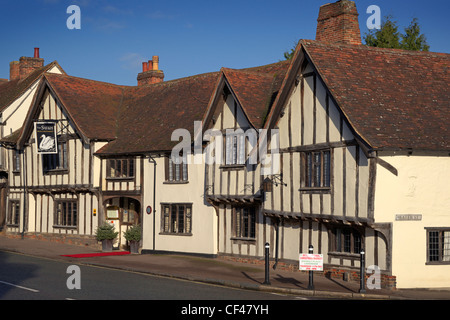 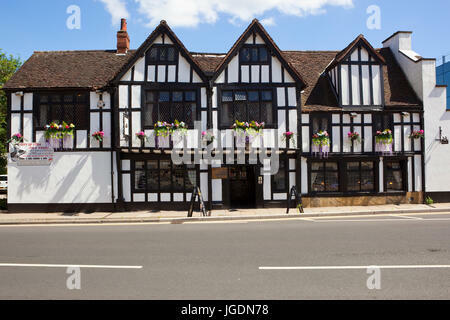 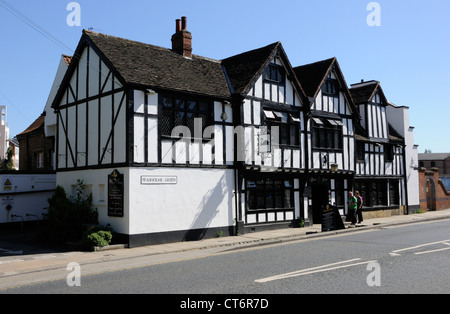 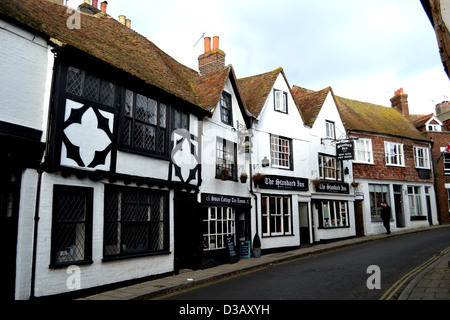 The Swan Hotel, an English country hotel in a half-timbered medieval building dating back to the 15th century. 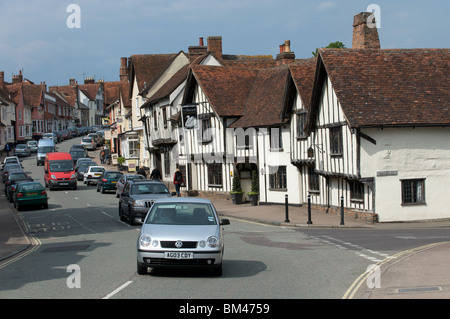 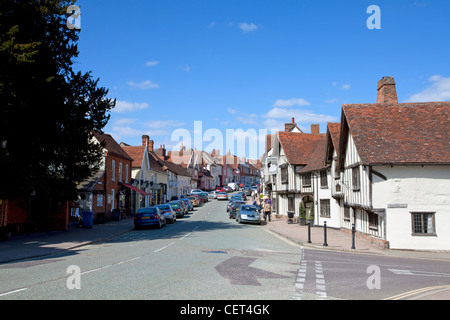 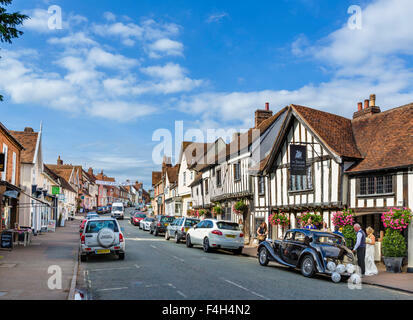 The narrow streets of the village of Lavenham, Suffolk, UK. 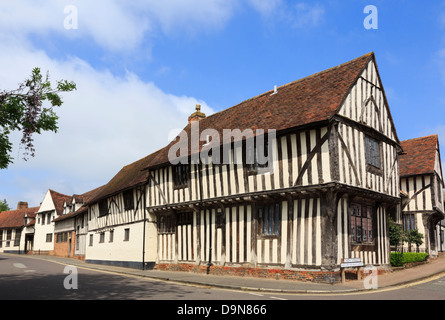 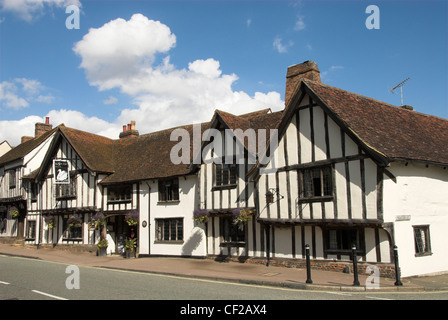 Exterior of the Swan Hotel and Restaurant in Lavenham.